Sanchez kicks for touch, Pumas lineout on halfway. So, 20 minutes to go and Argentina trail by three. Not many thought it would be this close but Argentina have been superb today. And it's by no means over. But here come the All Blacks. Kieran Read with a rampaging run down the left wing. 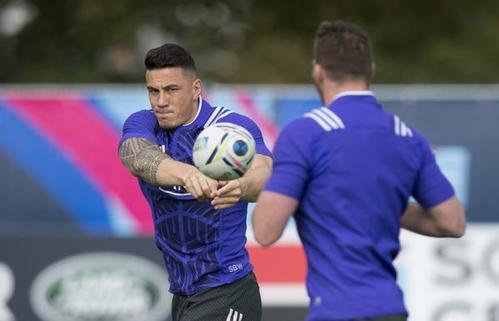 SBW makes another strong run, he has made an impact. SBW is brought down 10m out. The ABs swing the ball wide to the left but the pass from Crockett was forward. Argentina quickly counter. They move the ball with such pace. Up over halfway now. Good work from Kaino at the breakdown earns New Zealand a penalty. Carter kicks for touch, NZ have a lineout 40m out. 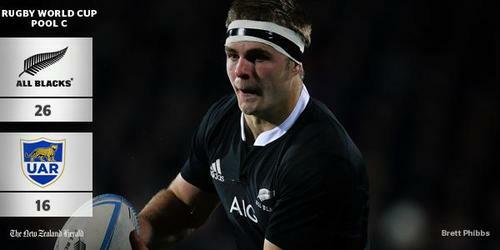 Sam Cane now joins the action, replacing Kaino. What a phase. Some great link up play between SBW and Aaron Smith set up Sam Cane with a glorious chance to score under the posts. But, just as Milner-Skudder did earlier, Cane spilled the ball on the line. Argentina clear, but only momentarily. Back come the All Blacks. It looked easy in the end. That was more like it from the All Blacks. They had numbers out left and used them well, drawing the defender and spinning the pass. SBW threw the last pass, Cane had a spare man on the outside but didn't need him. Carter slots the conversion and the All Blacks have a 10-point lead. It's so hard to beat this All Blacks side over the full 80 minutes. As the Pumas' legs tired, the All Blacks were able to bring on SBW, Barrett and Cane who have all made a great impact of the bench. NZ are finishing very strong, after a rusty start. 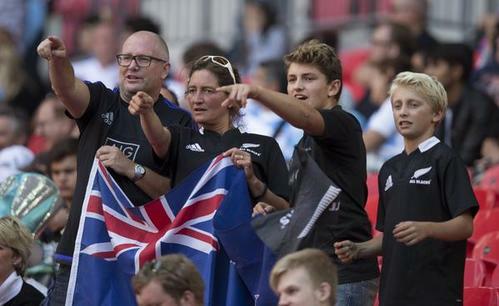 Just over 10 minutes to go and the All Blacks lead by ten points. All Blacks win the lineout 40m out from the line. They get the wheels on the rolling maul spinning. All Blacks starting to look very good here. Barrett drops a chip kick in behind but Conrad Smith is out jumped. Argentina awarded a penalty for Smith's late tackle and they clear down to halfway. Victor Vito is on now, replacing Retallick. The All Blacks press on again. Over the 22. They look likely everytime they have possession now. Conrad Smith does well to drive down the blindside. But Faumuina has spilled it. The game is wide open and scrappy now. Almost like a game of sevens. Carter finally brings some sanity to the play by sending a raking kick down into the corner. Pumas recover, respond with one of their own, then SBW finds touch 22m out from Argentina's line. Are there two Conrad smith's out there? A good one and a cheating one? It's been a real, physical challenge for the All Blacks. There will be some sore bodies tomorrow. And Argentina are a real threat in this tournament. They have proved that today.